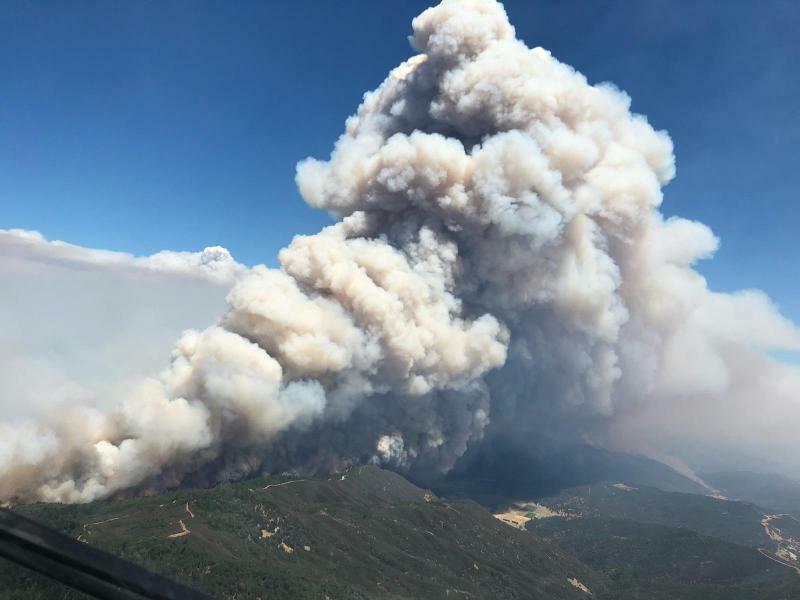 The River fire -- the smaller of the two fires that comprise the Mendocino Complex has been held at 48,920 acres, and is now 90 percent contained. The larger Ranch Fire is slowing, as well, gaining less than 3,000 acrea in the past day. It's currently at 258,527 acres and is 53 percent contained. Overall containment on the complex is at 60 percent. The Ranch Fire had moderate fire behavior last night on the northwest side. Today fire crews will continue bringing the fire line into the Mendocino National Forest, working to suppress the fire underneath Lake Pillsbury. Contingency lines will be built ahead of the fire. The northeast side of the fire will be scouted for opportunities to bring containment lines across the Snow Mountain Wilderness. A full air attack strategy will be utilized when visibility from smoky conditions permit. Cal Fire's Mendocino Complex information sheet has details on evacuations ordered in Mendocino and Lake counties. The Mendocino County Sheriff's Office has evacuation updates on their Facebook page. Cal Fire is publishing repopulation notices on its Ranch and River fire information pages.